One of Sun Mountain's most popular pieces due to its versatility, the ThermalFlex is a soft, quiet, polyester shell with 4-way stretch that provides outstanding comfort and freedom of movement. For 2018, they have upgraded the fabric to have even more stretch and a softer hand, which just makes a great product better. 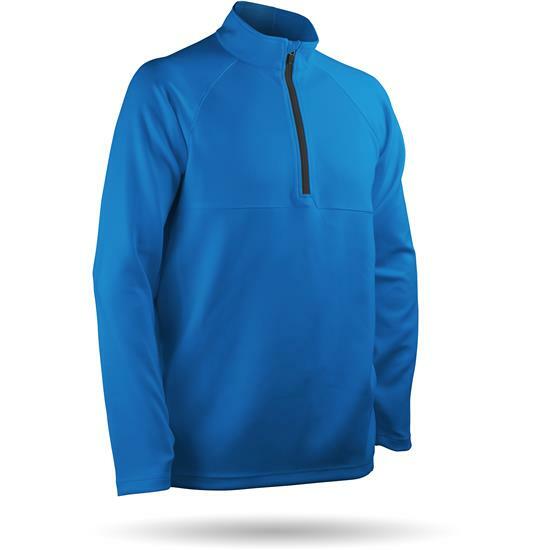 You are about to post a review for Sun Mountain Men's ThermalFlex Pullover based on your knowledge of its playability. This review will show up under all variations of Sun Mountain Men's ThermalFlex Pullover, including new, personalized, and custom logo.